This ultra modern boat cruise has been built in 2014 and it features an impressive contemporary design inside and out, with large ceiling-to-floor windows in all of its 48 cabins and public areas. A spacious dining room, which brings a homey feeling to the 98 passengers who can be accommodated, and a lounge area where bourbon pieces of furniture are mixed with metallic elements, are only two of this Loire sailing ship’s best assets. 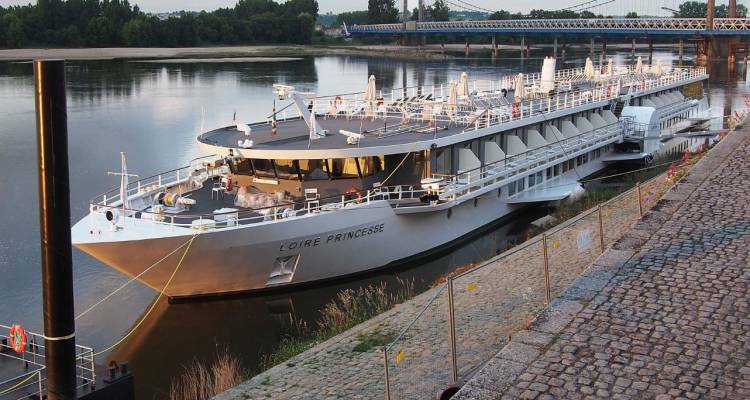 Looking for Loire river cruises? You might have just found yours!